I hope it is not too late to wish Gong Xi Fa Cha for those who celebrate Chinese New year. Some weeks ago, when friends from a journey bespoke (www.ajourneybespoke.com), Liz and Jo asked for some ideas to visit a “pasar” (traditional market) for their blog, I suggested a visit to Chinatown in Glodok, West Jakarta. Particularly as the coming week was when the Chinese there were busy preparing for the New Year. I guess it is not only my western friends who wonder what things were sold for the “preparations” beside vegetables and fruits, I too wanted to know what the atmosphere would be in Glodok. 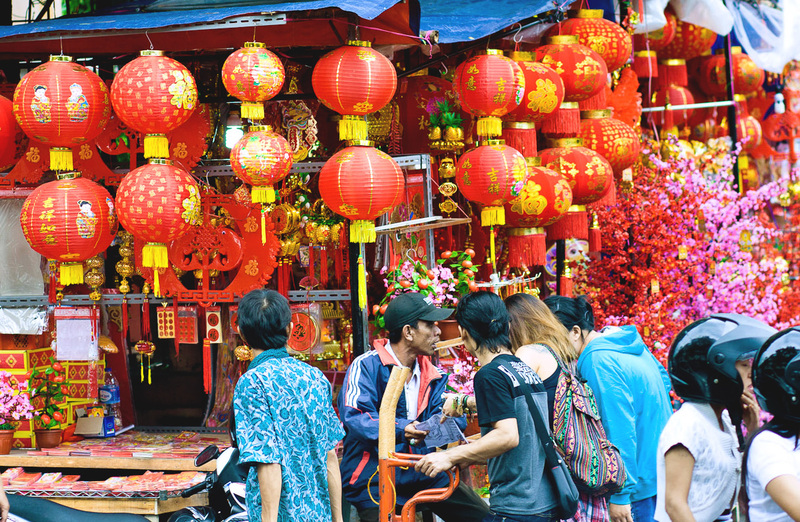 I had imagined that the pasar would be dominated by all things red. The traffic en route was OK, although it still took over an hour from Kuningan, South Jakarta to Pancoran, Glodok, West Jakarta. The place exactly as I had imagined. 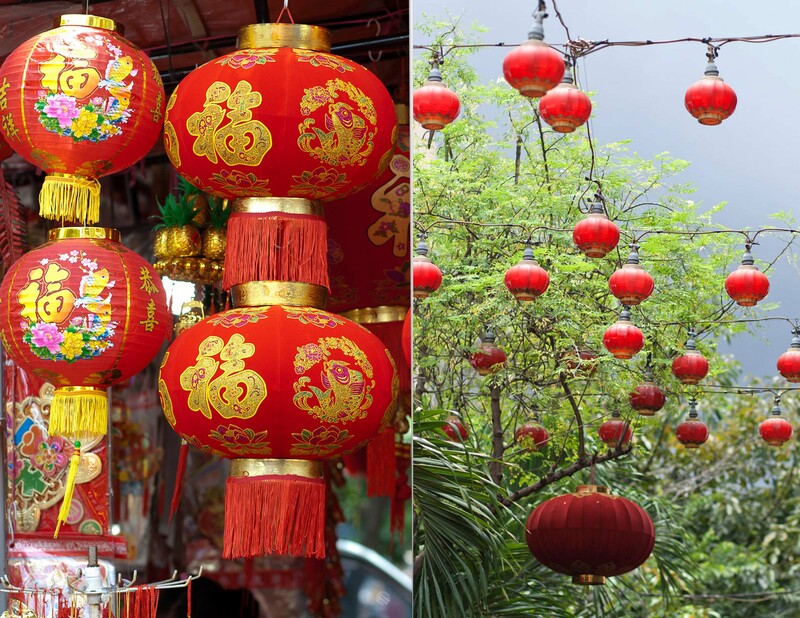 Red lanterns were hung everywhere, and they looked beautiful. Many vendors were selling red ornaments for house decorations. 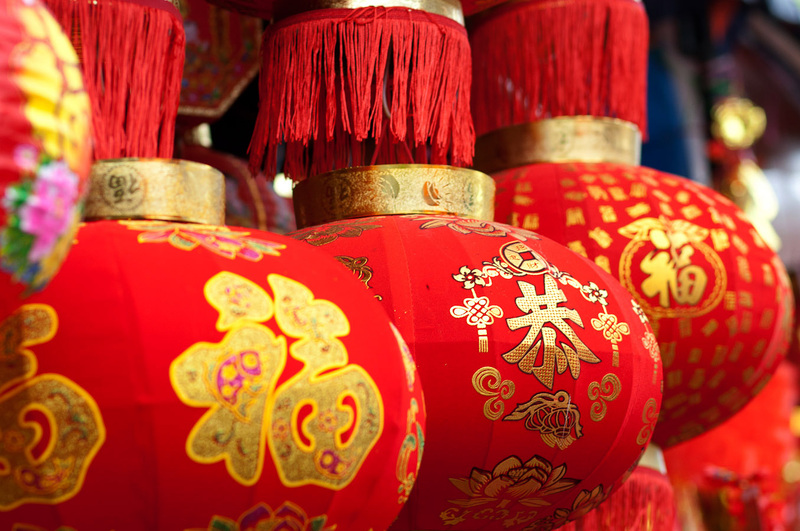 Here’s the story of the red colour and Lunar New Year. 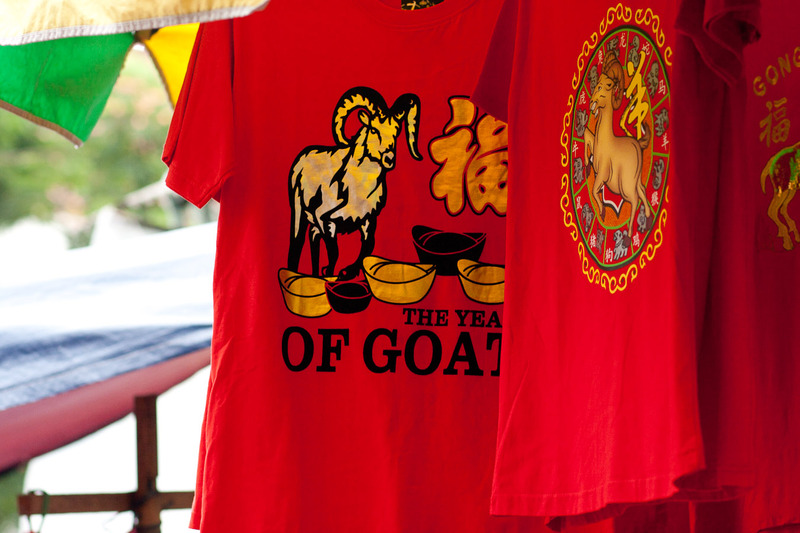 According to tales and legends, the beginning of the Chinese New Year started with a mythical beast called the Nian. Nian would come on the first day of New Year to eat livestock, crops, and even villagers, especially children. To protect themselves, the villagers would put food in front of their doors at the beginning of every year. It was believed that after the Nian ate the food they prepared, it wouldn’t attack any more people. One day a villager decided to take revenge on the Nian. A god visited him and told him to put red paper on his house and to place firecrackers everywhere. The villagers then learnt that the Nian was afraid of the colour red. 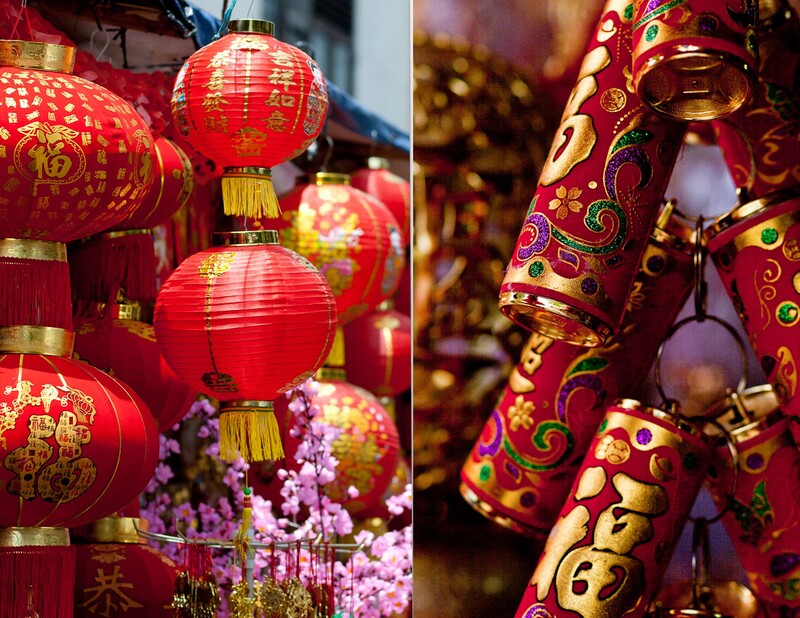 When the New Year was about to arrive, the villagers would hang red lanterns and red spring scrolls on windows and doors. 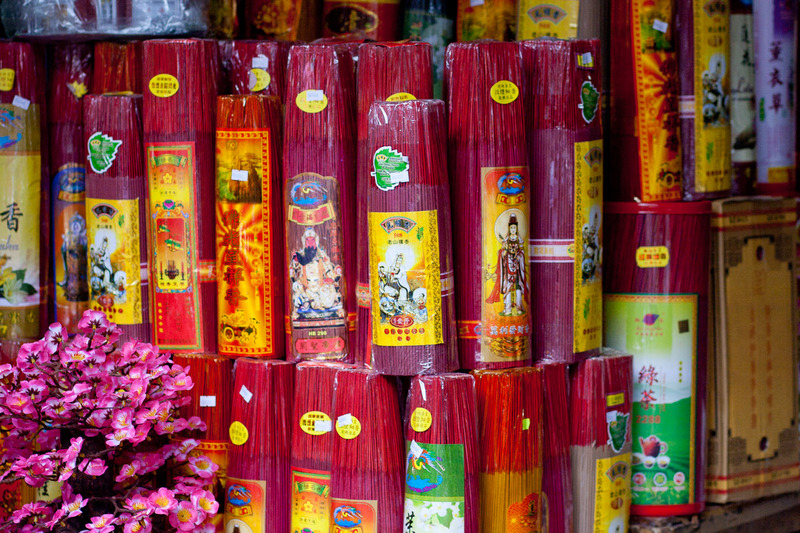 They also used firecrackers to frighten away the Nian. From then on, Nian never came to the village again. Isn’t that interesting story? 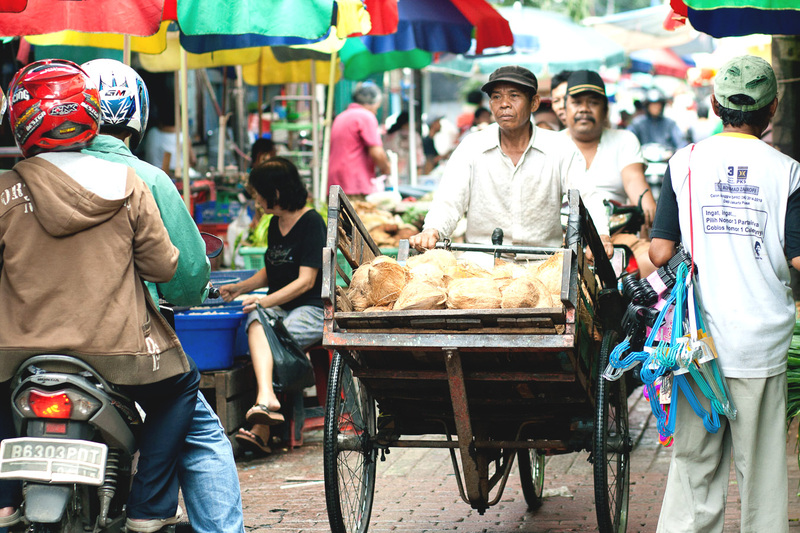 I truly enjoyed my first visit to Chinatown in Jakarta with my friends. 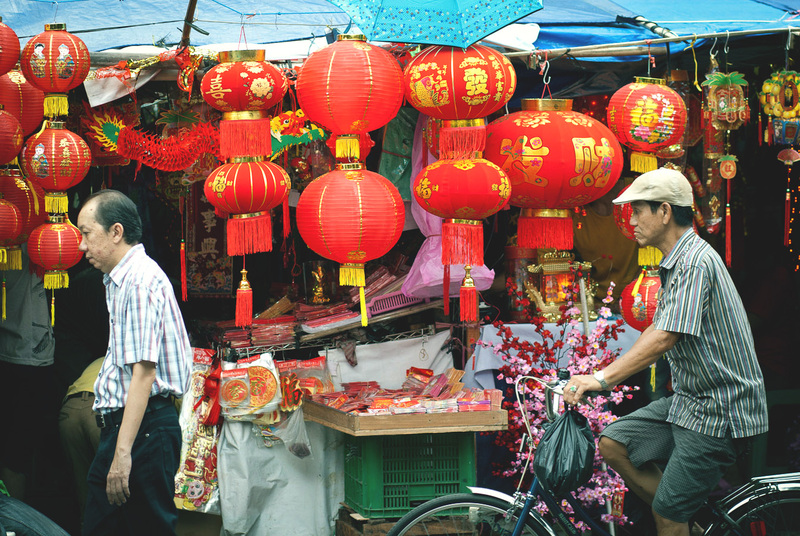 We were delighted to see what was happening before the Lunar New Year. We were like bunch of kids in a candy store. We discovered so many thing that we had never seen before. What a trip we had. As usual, I am sharing the photographs I took during my visit. Thankyou Nita for introducing us to Chinatown Jakarta. What a find! 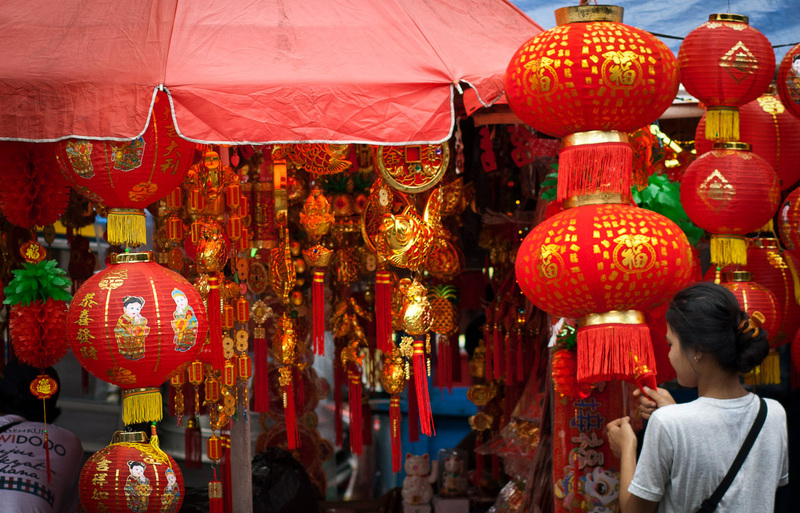 The colours of Chinese New Year, the People, the food and sweet stalls. A wonderful morning adventure. It’s my pleasure that I can share about Jakarta to you and Jo.